Valvoline Instant Oil Change Marina Del Rey, CA, 13421 Washington Blvd. Every time I go to this Valvoline location I am treated with respect and courtesy. There is no pressure for additional services or parts, but they will always let me know what is recommended per my vehicles recommendation and mileage and add this information to the receipt. Service is always quick and with a smile! Service was quick, friendly, and professional. I ended up spending $68 on an oil change which seems a bit steep. But they guys who did it were great and more importantly honest. They actually showed me the filters, oil line, etc. Wonderful employees that know everything about my Jeep. Mechanic was through and explain everything With what steps he was working on. He gave other options even though he recommend the best option. No pressure but gave expert advice. A very pleasant experience, all around! I am highly satisfied with my oil change because it was exactly how described...easy, quick yet through oil change and other fluid fill-ups. Great service, mechanics nice, polite , knowledgeable and NOT creepie!!!!! I asked to switch to a less expensive oil. The guy said "what it's not ten years ago" and then didn't offer me any other options and just gave me the same stuff that had been on the screen. nothing specific. Just quick and easy. I had limited time, only needed an oil change, my needs were fulfilled. Pretty simple. Some attendants are more personable than others. A bit less personal of a guy today, not a big problem just a note since you've asked. Also, not particularly happy with the price point. I can definitely get cheaper oil changes with your same oil even, but I've been returning to you for the convenience factor but I'm considering leaving. Everyone was very friendly. The oil change was very quick. A wonderful experience especially when compared to some of my past experiences where an oil change takes up to an hour. The staff was great, friendly and smiley!! They even told me about their app and even offered me a discount coupon through the app !!! Man you CAN NOT beat this kind of service ! This guys are real TEAM PLAYERS ! I was pressured to buy other services and the employee did not wait for me to give him a response before he added the additional services. I had to ask him to not sign me up for any additional services, and then was given attitude for not wanting them. They were all so professional, fast and polite. They have the system down to the minute. The staff on this particular visit were awesome, all very informed, helpful and professional and took the time to explain things a bit more than normal. It was also great to see a woman working with the crew for once! The tech was friendly and honest. Pricing was extremely high for all services. All the attendants were very courteous. The site was very clean. The communication could have been a little better. But it was a very busy Saturday morning. I was told I had a 15 minute wait and it was fine to leave and come back. I left my car in line for the dock. I returned in 15 minutes. The oil had been changed already. The car was parked. I don’t know how they did it. But they should have called to tell me and to ask if I wanted any different service than the last time. Overall the convenience was appreciated and their speed was impressive. I have used that site enough that I trust the job was properly completed. If we had had a conversation before I left the car, I’d be highly satisfied. The service was quick, and the staff were helpful and informative. The service agent Sammy, was extremely courteous, polite and professional. He explained very clearly what he was doing and asked in advance for permission to make recommendations. His recommendations were made explaining the the benefits and price of the service and I felt no pressure or attempt upsell me. I was actually at the La Tijera location, I waited more then 30 minutes. When it was my turn to pull into the garage, the service rep made me move my car to take the car to my left and told me she had been waiting longer then me. We both arrive seconds apart from each other. I left, went to the Marina Del Rey location, the service rep could I was a little bother but he still showed and offer great customer service including giving me a discount for my inconvenience at the La Tijera location. I will not visit the La Tijera location ever again due to poor customer service. I ask the service rep to speak to a manager, he stated there was no one I could talk too. I also ask for a customer service number so I can make a compliant - he told me to go online and look for one. When I informed him was leaving he told me to have a nice day & goodbye. In my opinion, the La Tijera customer service is going down real fast. I really want to continue service my car needs with Valvoline but if I continue to experience poor customer service I will take my car else where. The staff is always very friendly. One member gave my children coloring books.The one that was handling the payment was very thorough.Aside from the price, it was a happy/quick/painless experience and I appreciate that the staff is always so nice and friendly. Jesus the service technician was great. He was clear, efficient and organized. Friendly customer service. Told me everything they would do, gave me a price. Had the car done in the time indicated. your prices for transmission and radiator fluid change is high. Been a patron of this particular Valvoline for 12 years, always had great service. Quick service. Service tech was friendly, and explained the entire process, step-by-step. Just the mismanagement of the queue. It was mostly the patrons which made the visit satisfactory and not highly satisfactory. My automobile had a defective oil cap and the technicians were diligent in getting it removed. The service was great and I appreciated the team members knowledge and speed, however, even after a coupon the service was extremely expensive. I do use full synthetic which I know is expensive, however I paid more after a coupon for an oil change than I did without coupons other places. I called Valvoline and the person who answered the phone not only gave me the information about oil change costs and services that I was asking for but also sent me a coupon for $15 off! Quick service, super friendly staff, helped me understand additional service needs for my car without pressuring to purchase. Will definitely come back! VEry prompt and friendly service by the whole team! Our guy was on the ball, fun and funny and made the crew move at a good speed, but nothing was overlooked! Give him a Raise! A moral booster is good for all. Kind & very efficient staff member. No wait to get the service I needed, and everything was done and over really quickly. Because I stayed in the car I could see that the different services I requested for my car were done (which you cannot verify when you leave your car at the dealership ...). This was quick, efficient, friendly crew. I was so pleased and also it is located in the Costco parking lot. This was my first time using the service. The technician who greeted me was very helpful and professional. The staff did a GREAT job. I was really impressed. The staff is very professional, friendly and knowledgeable. Definitely my oil change place now. Pulled my car right in. I was quickly found in the computer system and the current service was explained with its pricing. All of the interactions were courteous and friendly. They know the routine and are able to execute it well. There are often multiple service reps stopping by to make sure the service is progressing. Very impressed with friendliness of staff and speed of service. Quick service, no appointment needed, and we stayed in the car. I always come here and I enjoy the coupons I get. We thought we needed an oil top off because we smelled oil in the car sometimes while driving. They checked everything and informed us of a small leak we have and explained why we smell that smell. Now we know what the actual problem is. Its the guys there. Smart, friendly, after I asked even were giving me tip on how to wax my new black truck. The operators were very knowledgeable. They told me exactly what they were going to do and they did it timely and efficiently. Staff was knowledgeable and courteous making the wait time tolerable. I was very impressed and will be coming back! The service men were extremely friendly and communicated everything they were doing. I felt very taken care of and confident in the service. Kind and informative representatives, promt service. This was my first time at a drive up oil change center, this was a game changer. Great experience! Loved the teamwork that was put into making my visit short and sweet. Great job guys! The guys were all so friendly and helpful! I was shocked at how fast they got the job done. I’ll never go anywhere else. Fast fun and on it . Never going anywhere else again. Love that I stay I. The car like I'm a part of it and it's a pit not lifts. I perfer my car to not go up on lifts. Staff was quick in providing the service. Friendly courteous and didn’t pressure me into buying. They just suggested. Jesus and his team did a great job servicing both my daughters cars at the same time! Great customer service. The attendants were very friendly and professional. I will return. Very friendly gentleman worked with me. It was a slow time of day, so they really had the time to take care of me. They topped off all my fluids and recommended some other services, but said they weren't pertinent. I received a good deal on the overall total price. I was very satisfied. Manager & staff were professional and polite! Very professional employees that care about my Jeep. They check many things around the vehicle to make sure all is well. This service center is an express one. I was in my car the whole time. There was no waiting and no pressuer. All the employees were very professional. New Truck only 7k miles. On board notification to get service. Much more convenient than going to the dealer. Service was done very quickly and efficiently. The mechanics were extremely professional and attentive. They were working non-stop. I could not believe how quickly they got me in and out. I will be using this location from now on, great job. The price is high. I would like to have tire rotation included.No wiper refills available for my 2008 Subaru Tribeca. The business works like "well-oiled" machine. Super efficient system in place to get the work done quickly. It’s easy. Most of the time there’s no wait, staff is super friendly, I can stay in my car ... They offer services but I never feel pressured - sometimes I say yes — like new wipers this visit - and sometimes I say no — like to tire toration, due to the fact I was on a tight time schedule. The guy helping me was so nice and assured me I could have it done next time, which I will.I don’t go to the dealer anymore b/c vavoline is easier & i feel like they offer only the services I truly need. Very polite employees. Liked how they showed me the dip stick showing me that my oil was full. Great service, great people ;o) thank you !!! David was extremely polite and friendly. He explained everything that was being done and did not pressure for any additional services, I asked for pricing information on 2 servicers and David added the pricing enro the noted of my receipt for larger consideration. David even greeted my children and we had a very nice conversation. I am always extremely happy with the service that is provided and always come back. GREAT PLACE for your OIL CHANGE! LOVE VALVOLINE! Very nice people at Valvoline Center...very satisfied! they tend to up sell more services than you need. As usual the service was great, the staff was very knowledgeable, and i was in and out in 15 minutes. The crew was great! Took care of all my needs within 15 minutes. The Marina Del Rey location has an awesome team! Fast friendly service, helped me with my car questions. Helpful to my Rowdy children in the back offer them color crowns and coloring book for their wait. Gave me quotes on Services I need it for my vehicle. Gave me a recommendation business card to a local business that you guys refer services to. You have a forever customer with me. Excellent customer service. Number one most trusted. Thank you! Terrific employees, including Danny, the manager, who gave me and my car personal attention. Both gentleman who served me were very kind and efficient. The one running the computer explained everything to me the one under the hood was doing. It was nice to be informed. I’ll definitely return to that location. Felt pressured into upgrading to synthetic oil however, it wasn’t something that ruined my experience as that is a part of their job. The oil change was done to satisfactory standards and I will probably return. The service team is efficient without being officious ! They know my car and work quickly and accurately ! I use Valvoline regularly ! It was fast and easy. The guys briefed me over everything and were super friendly. No excessive up-selling, prompt service, friendly professional servicemen. I keep coming back to the Marina del Rey Valvoline because the service is impeccable, the staff are friendly & always smiling & the personal, kind attention they give is very appreciated. Please let the staff know that their wonderful spirit does not go unnoticed. The ease with which mica was serviced was impressive. Especially the replacement of the cabin filter for the AC was quickly done, and I scarcely knew how they did it. The supply of parts must be most comprehensive. The price was a fair one, and Toyota parts are among the most expensive in the world, and I still and I was impressed witty professional quality of my service. The lead tech actually showed me their level on my dip stick before I left. That I never had in my life of driving, and actually it was perhaps the most important aspect of the oil change. I especially appreciate how complete was the service: I shall return. Jesus at the Marina Del Rey shop is fantastic. He's the reason I return and trust this facility. The reps are the best! No hard pressure like dealership service - this is why I keep coming back. Super fast and efficient service. I doubt the whole process took 15 minutes. Fast. Reasonable price with discount. Very friendly and fast service. A+! Thanks Valvoline! Because it was nice and convenient. Friendly, courteous. Left item in waiting room; Valvoline held for me until I could retrieve it. La atención y respuestas a los preguntas que me conciernen conmi carro fueron muy satisfactorios. Great service, they remembered the vehicle and checked that a previous issue had been repaired. The man who helped me was very friendly. He recommended a new filter along with my oil change and took the time to show me my old dirty filter. He recommended a replacement of my AC filter but said it wasn't necessary at that time and that I could wait til next time. They were super quick as I was in and out within 10 minutes! Great communication with what they were doing to my vehicle. Knowledgable staff, had all the correct parts and was in an out with in 15 mins as I was told. Service took 30-40 minutes once I was inside because of an “extra cap” on the underside of my car. Pricing always seems much higher than other businesses. The service is always courteous at this location. They tell me exactly what they are doing, how long it will take and are very clear about the pricing of services. I didn’t feel pressure to get any additional service...they respected my decision. I loved how quick it was! I was not expecting that. I was also able to stay in my car to see what was happening. It was great! I trust Valvoline Instant Oul Change because they show me my dipstick with the clean oil level on it after they change it. Great service and kind employees. Not pressured into additional services. All was good and service was fast. It took 10 minutes. I seemed too fast for proper oil change to be done. I already changed my car oil almost every three months and this time is my fourth time and I love the service and hospitality. Great service extremely polite men working there.. kept me well informed what was going on..in and out in no time.. In and out. Friendly and no pressure to buy after recommending a cabin filter. Checked all turning signals. The guy that was taking me through the process didn't pressure me and understood I was just there to get an oil change and nothing more. He did so and let me know about the rest of the vehicle. Super friendly and cool guy. I just wish the prices for the filters and other services weren't so high. I understand there needs to be a mark up. However, it just seemed excessive. In my case, I needed a new air filter and was quoted $49. The filter is less than $10. Labor to put the filter in should not be $39! I would have loved to just take care of everything during one visit, and I'm willing to pay a reasonable amount for convenience. But again, this was excessive.On the upside, I really did appreciate that the staff did not make me feel pressured in any way to do any of the recommended services. Quick, easy and grabbed a burger next door while I waited. Staff was genuine. Doesn't get better than that. As usual they did an excellent job, communicated well, and the efficient teamwork got the work done quickly. The staff were through, friendly and helpful. The guys did a great job. The oil change is too expensive though. I go less frequently because of the high cost and find alternative places for interim changes. In the end I think the high cost may lower your revenue, but I don't know for sure. I suggest you give discounts on off hours to attract customers more often. Above and beyond regarding customer care! The people were so kind and very informative of every step they were doing with your car. You have additional fees. Compared to other chains you’re more expensive. All the guys there were great, I have a 1950 Willy’s Jeepster and they all had a ball looking at the engine and making sure everything was good when I left. Thanks again, it was a great experience. I had great customer service. Jesus treated me as he knew me. Very professional, polite and knowledgeable. Besides great and quick, stress free service service, I received a Lesson about parts of my car. And what and why should be exchanged. They showed me my filters. The one from my AC was so dirty! and I was not aware of it. I’m very happy they showed me. Good fast service. Freindly staff. Fast, convenient location, no need for reservation, competent staff. Fast oil change , car did not drip oil afterwards and this is very important to me not to have a messy oil change. Honored coupon off my cell phone. Very friendly and hardworking staff. All the staff was very friendly and working together and seemed happy. Everyone seemed to work really well together. Very fast and gave me confidence that they knew what they were doing. Jalal was my technician and was amazing. The guys at this shop are really friendly, fast and knowledgeable. Great experience. Everyone was very friendly and they were having a good time! They were enjoying their work, had all these codes they yelled out to communicate where they were in the process and were enthusiastic about it. My husband I truely enjoyed watching them work! The staff was friendly, courteous and seemed to have their processes down pat as a team working together. I’m highly satisfied first because the customer service I received from David the person that greet me was great. He’s enthusiastism was excellent. The vive as I got there was great all the guys at the time that I was there seem to know what they were doing taking care of heir customer and the time they took was great. I think for all business customer service should be number one. That is what makes you want to come back and specially providing good work. The customer service was excellent, they were incredibly kind and knowledgeable and made me laugh during the experience. It was like I had my own pit crew. They were AMAZING!! I pulled right in, it wa so very convenient! I could not be happier! The workers were so polite and explained everything very well. The best experience that I have ever had dealing with cars. I have already recomended you to so many people. I will definatley be back again. Thanks for making my day so much easier! Was easy and fast and the service person was smart and quick to just get the oil change done, he showed me the air filter and things he has to do, but wasn't annoying with the up sells. Greeted by delivery person impressive. Technician(s) extremely personable and professional. A very unexpected experience, very pleasantly surprised. Will be back for next service. All personnel on duty during this period deserve recognition. The prices caught me off guard but the service was great. Everyone was very courteous and made sure I was okay waiting. I didn't have to wait long. Then they informed me what needed fixing and what the price was. It was great! Would definitely come back again. The staff was efficient and very personable. Jalal was very helpful and explained everything great. Great Customer Service. Everyone is always very friendly and the oil change is quick. The guys at my local Marina Del Rey near Costco are always polite, professional and quick. They make the experience pleasant and I’m confident in the quality of their work. I'm a regular customer... polite,cheerful crew and I was literalliy in and out in 15-20 minutes... on the Saturday before Labor Day. The price is a little high for the service received. 15 minutes wait, 15 minutes service--as promised/expected. Kind, clear service and helpful. Everybody was very clear and friendly, even recommended a few things that could be cleaned/refilled but didn’t pressure me to do them in the same visit. They were fast and efficient. Took my whole family and only waited 20min for the oil and transmission fluid change combined, which was exactly how long they said it would take. They suggested a new air filter for the air conditioning. ..when they pulled it out it was filthy with leaves. ..we laughed and I said yes it powered up my air and is helping in this heat! The sale guy was super nice and helpful. Terrific service, they checked everything out, friendly, faster than getting burgers next store at In and Out. My second visit. Friendly staff, fast service,explaining what was needed and what was going on . The service man was not stif. I was waiting before they opened. The store opened on time, and I was immediately spoken to and directed into the bay and was serviced. Great job! The customer service was great and it only took about 15 minutes. They were knowledgeable about my car. Very fast service. Didn't try to up sell me on any other products. Competitive price. I actually had a terrible experience here years ago, same location, not sure if it was the same company, the experts working there now are amazing, total 180 from before. I learned quite a bit about my car this visit and I’m a local so it feels good knowing I’m in capable hands. Very professional and kept me apprised iof everything. Calm down, it’s an oil change. I thought the service was outstanding - from the time I called ahead to check on wait time, to pulling right in, to the service taking 15 min like the attendant said, everything was done according to what I was told. I very much like the service and that's why I keep goig back. The person who took of me was very nice. He explained everything well. Got right in. Stayed in car during service. Quick and very professional. Alan was helpful, friendly, and highly knowledgable. He should be commended for doing such great work. Employees like him keep people coming back. Every other employee I encountered there was also very friendly, kind, and professional. I'm not sure the information regarding the transmission for my hybrid was explained thoroughly or if the information was accurate. The techs were friendly and helpful. Customer Service was excellent, and representative exceeded my expectations. I just relocated to LA, and ha just a few questions non-related to the change of il and he was not only able to help me but provided me with directions too. Also the representative over the phone offered a coupon without me even asking for it! Excellent people, very communicative, efficient and good at their job! The workers were great and made sure I felt confident in the work they performed was done correctly. Right before closing he staff was happy to help me with my oil change! Which was nice to see instead of being turned away. They were very informative and helpful! I love the staff here. The guy who helped me was really nice and helpful. Answered all of my questions and got me out of there really quick!! Thanks! Quick, reliable, thorough and friendly service with my service tech going over point of the service procedure with me. I thought the employees were extremely helpful and informative. They were very friendly. Wait time to get into bay for the service to start. Staff was very pleasant and friendly. I went to the Subaru dealership to get an oil change and they offered me a list of suggested checks with a total of $988. The car is two years old and the dealer is telling me that they need another thousand dollars to keep it running. It was a real bait and switch and upset me.I pulled in to Valvoline and immediately they took care of me, They offered me all of the services that the dealership dead including rotating my tires and it cost me around $200. I really appreciated the option. Good service!! Just had to wait for two other vehicles ahead of me. Always quick, friendly, and no pressure for additional purchases. Gentlmen are always very friendly, they keep thinga simple, refer back to my history on their monitors to speed things along, point out any defects, offer to fix them and if the service is denied they move on. location is right around the corner from where I live and always a good experience. Great service, although there was a line of other cars waiting, the technician held onto my keys while I went and grabbed food. Great experience. This team is wonderful. Clearly happy to be at work. Quick friendly and quality workmanship! Everyone was pleasant, knowledgeable and prompt. The employees were great. Very professional, friendly, and knowledgeable. I will definitely be returning for my next oil change. Thank you! Everything was explained and quick. I had to wait longer because I had my tires rotated. Wasn’t a problem though. Didn’t take long. Positive experience, great customer service, and friendliness of the employee who worked with me. I am a 79 yr old woman who is now responsible for my car maintenance. I'm so happy that Valvoline is close by. The young men explained every operation before completing it and always asked my consent. I feel that I can completely trust their judgement as to what needs to be done to my 13 yr old Camry because I expect to be driving it at least another 5 yrs. I’ve been going to this particular Valvoline for quite a while and always get great service. I trust the guys there. They suggest things that I might need but never pressure me. They are friendly and attentive and because of their location next to Costco I always remember to get my oil changed every 3 thousand miles. Keeps my car healthy. Great customer service, friendly and professional. Obviously these guys know what they are doing. In and out in under 20 minutes, you have to love that. Definitely recommend the drive thru service to friends. Each representative was pleasant and smiled. They were all attentive and explained everything. The salesman was able to change the air filter in my car in a timely efficient manner, he also exhibited a great attitude and was very courteous! Servicio rápido y me explicaron todo muy claramente. It was fast, everyone was very helpful and friendly and explained everything in detail to me. Friendly, patient,professional personnel.Didn't push for extra services. Did gave me recomendations on services need it. The staff was efficient and friendly. They made the process easy to deal with. Employees there were great. Very friendly and easy to talk to. I loved the service! Perhaps there was a misunderstanding since my odometer read about 139,000 miles and I had a full synthetic oil change. The sticker read next service due in September 2018 but also said 152,000 miles. perhaps the attendant heard me say 139,000 and thought I said 149,000? OR the full synthetic oil last 12000 miles? Please advise. My visits here are always pleasant, predictable, and satisfying. Excellent customer service, very professional and speedy! I think the price is a little high. This facility is much better than when it was Econolube--less upselling. So maybe that's why I'm paying more for basic service. I was happy that there was no pressure on recommendations. Keep the coupons available and hope the prices come down. All techs were courteous and service was efficient. Pricing vs value is still hard to justify. The price jumped dramatically, and this was after I swatted 3 upsells. I even had a $10 coupon and it was over $60 for standard, boilerplate oil change. That price is absurd, but I had waited that long already. I will not be back unless the price comes back to $35. The techs changed my oil in a reasonable amount of time at a reasonable price. One tech took charge of the whole operation and made sure the details were taken care of. I was highly satisfied with Valvoline. Something out of their control is the traffic control around the location- the Costco gas lane and parking lot is insane. The guys were very kind and nice and helped me fix a problem I had at no charge. I am a regular there. The staff recognizes me and the fact that I come in with husband with his car and they acknowledge that! They always joke with me, and don’t talk down to me as if I don’t know about cars as I do know! Always great to see/chat with them! Courteous technician informed me of a few problems including a fluid (oil or transmission) leak as well as cabin air filters that needed replacing. The cabin air filter was something I could do myself and was an easy fix for me, thanks VIOC! The staff is always professional and helpful. Thank you for great service! Jesus who took care of us was fantastic!! Extremely courteous, patient and transparent. The staff members are very nice & highly knowledgeable. I always go to Volvoline the same location.They are fast & great. Very friendly, I was expecting to be pressured into purchasing additional service I wouldn’t need, to my surprise, was not pressured to purchasing anything. Was told about fluid levels and only one needed to be topped off for a couple dollar charge. I was truly impressed. My first time here. The guys were awesome. Best customer service and knowledgable here at this location. Great staff! it was a pleasant experience. The person who took care of my car was knowledgeable and efficient. Jesus was extremely helpful and super nice I will continue to come to this location for car improvements! The people helping me were incredibly kind and respectful, and made sure I was aware of the pricing of things before having me make a decision about which services I needed done. I also never felt pressured to purchase any extra services, which I appreciated. very courteous, informative, and friendly. This time as well as the time before at a different Valvoline oil change. Other cars came in after me and where finished well before me. I don’t know why? The customer service is very good. Everyone is professional, informed and approachable. I’ve never heard “I don’t know” when I’ve asked visit specific questions. I’ve recommended my family members to this location for this same reason. friendly and fast. They informed me about tire rotation but also understood I came by for just an oil change and they didn't push any other services on me. I was in and out in about 25 min in total, which was impressive on a Saturday morning in Venice between Costco and In-n-out. First, when I pulled up, all 3 bays were full. The staff directed me behind the bay they thought would be available first. The next car was positioned behind the next bay. When a different bay became available before the one in front of me, the staff directed the cars to shuffle to allow me (the first customer in line) to move to that available bay. No other business has shown that much care about the waiting line.As always, there was no pressure to purchase additional services, but the staff was great about showing me my air filter and talking to me about maintenance that was due on my car. It helped that I was already aware of the maintenance my car needed, but if they hadn't asked, I probably wouldn't have gotten it done. I'm glad they asked, because if they hadn't, that maintenance would have still been on my To-Do list for another day. Better to get it done.The staff is always friendly, patient and great at answering questions or giving recommendations. I asked if they recommended a place for getting my alignment done, and they gave me a few ideas along with potential pros and cons of each place. This is the only place I trust to get my oil changed. The service was as complete as the dealership offered. Knowledgeable techs. The workers I dealt with were top notch. Quick efficient and polite. I always have a great experience here. The service is highly efficient; the cost is somewhat high. The staff was friendly and reliable. They quickly worked on my oil change and tire rotation. I love this location. Great team players. Great communication with one another while working on my car. 100% professional.Showed me and explained to me what they were doing to my car. Customer service was excellent. The guys are courteous, Professional and patient. Lots of really good guys working there. I informed the technician to check the air pressure of my tires and he promised to do so. I asked again at the end because the Air Pressure light was still on after the service. He promised it would be fine after driving a few miles. But the light was on all the time. It turns out that my tires were not properly inspected and no air was added. I had to spend money on adding air into my tires to get rid of the light. This is a very disappointing first-time experience. The service people were great: friendly, knowledgeable and on top of process. The service techician was very friendly and explained what the team was doing at all times.There was no pressure to purchase other services only advise. Previously I have been able to get regular oil instead of synthetic. I was highly discouraged from doing so this time. So I agreed. On April 17th. I had emergency light and loud beeping come on my dashboard, I looked it up in my car manual. I read that I needed to pull over and stop because there was something wrong with the coolant system. I looked under the hood and saw the coolant vessel was empty!! On my Valvoline receipt (April 9th) it says that coolant reservoir level was checked OK. Obviously NOT checked. I have had to go and buy a gallon of fluid for 22 dollars and fill it myself. Yes, I also had to borrow a car to go and get it. and yes I am disappointed that it was Not done as stated on my receipt. So that is my thoughts of this experience. Maurice patiently answered all of my questions. He recommended certain services but never pressured me to buy anything and laid out my options in a very reasonable and rational way. The team had to spend extra time rotating my tires because there was a significant amount of rust on my wheels - but they kept at it until the job was done and kept me informed throughout the process. Overall it was a very pleasant experience and likely the best oil change experience I have ever had. Thank you! I’ll be back! The service was quick. The employees were clean and friendly. Everything was great. Very knowledgeable technicians who answered all my questions and were very friendly. My car has very high oil consumption and even though I have no leak stains, I’ve been concerned at the rate of usage. One of the technicians thoroughly checked the area and determined there’s no leak, however recommended to me what I should have my mechanic check for on my next visit (a possible PCV leak), and detailed it in the notes of my invoice so I had a reference. They went above and beyond to address my concerns. Great team at Marina Del Rey! You are not the only service establishment on the planet so its quite possible you do not have a complete service history of the vehicle. I use valvoline for oil changes only. The day before I had my tires rotated (free) from the installer. You're staff wanted to sell me a tire rotation. Courteous service...good communicatin. Speed of service without rushing. It was fast and easy. The staff was very friendly and made you feel very welcome. I’d definitely will be returning. Geeat customer service. Real fast workers. Great prices! They did not make me feel like they were taking advantage of me. No pressure to get any upgrades or buy anything. Employee who services my vehicle informed me of the different types/prices of oil and gave suggestions based on my vehicle. He also suggested I change a filter in my engine and even offered to show me what a new filter looks like to compare it to mine which was dirty. Very attentive, friendly staff that did not try to push selling other products on me. The staff was very sincere, honest, and professional. He suggested I need certain radiator and transmission fluid according to my vavoline records. Seeing as it was my first time of course you all aren’t going to have records of that. I did tell him when my mom had the mechanic do all those things before she had the car ship to me but he did not update that in my car notes. I think that is something you all should do instead of having the mechanics assume there hasn’t been work done on the car. I know he was just doing his job and was extremely friendly about it but not seeing him update that information made it seem like as a company you all are pressuring him not to update it. He and his co workers were extremely knowledgeable and friendly and that would be the main reason why I would come back or recommend the company to someone else. Fast and friendly service for a fair price! I forget the guys name that was helping me, but he was very nice. He recommended some additional services, but didn’t pressure me. Which is good because I’m between jobs and low on money. I always go here. It is convenient and quick. Staff is knowledgeable and professional. Work is consistent and thorough. I’ve always come to this same location because the stuff are very professional. And friendly. I don’t mind waiting. The staff recognizes me from previous visits. They also know I like to joke and play along with me and talk to me about what’s going on with the car! I think the managers name is Pablo...GREAT guy! Thanks! Everything went pretty well, and I got it done quickly. After getting high (over priced) synthetic oil which according to Toyota should last around 10,000 miles before the next oil change (under normal driving conditions) I was told it was good for only 6000 miles, and given a sticker which said return in 3000 miles. After pointing out the mileage sticker was incorrect the employee said they are all set for 3000 miles. I feel this is misleading, and a way to trick people into thinking they have to come back early before the car really needs an oil change. 6000 miles is also misleading when the manufacturer states 10,000 miles (using synthetic) between oil changes. Valvoline should just be up front, and honest using the manufacturers recommendations (under normal driving conditions); but it won't make the company as much money. Nobody wants to be tricked or misinformed into coming back prematurely to spend more money for unnecessary service. Failed to email my receipt. Always know that I am treating my car well and that your guys do good work.My service consultant spoke a bit too softly, but I also did not ask him to speak up! Duh! It's important for you staff to realize that most drivers had "road noise" ears that make it not always easy to hear people who are outside the car. Very pleasant however! Everything was wonderful except the price. Even with a coupon, much more expensive than my local mechanic, plus my local mechanic rotates my tires and checks my brakes. I occasionally have my oil changed at Valvoline for convenience, due to your hours open. The service is always highly courteous. Highly is too strong of an accolade. The employees were extremely nice and helpful. Very knowledgeable with any questions I had regarding my car and my best options. The guy with a screwdriver under the hood. The service was awesome. I received very friendly and courteous service from the employees every step of the way. They seemed knowledgeable and safe. I will be back to this location in the future. I live in Arizona but was stuck here in california and they took care of my car. I’m always greeted by warm, friendly, competent People. They explain what they are doing and do it quickly and professionally. I will always come back to Valvoline. good, fast, convenient and friendly service. Everyone is always extremely helpful, friendly and fast. No matter the location, it's the same great experience. Very quick job with courteous service. They did what was promised...change my oil and check vitals. took over 1/2 hour to get in and out...your 15 min time line is not a good prommmmmmmmmmmmmmmm. Quick, quality service, competitive pricing. But I had to come back because at my first visit the shop didn't have the right oil filter. The staff was polite, knowleabel and helpful. Also very efficient. Staff is incredibly friendly and efficient. It resonates with us. I had a positive experience. The service tech who assisted me provide customer service. I still have a stigma of drive in oil change locations. I was a victim of paying for services and repairs I did not need a couple of years back. I can never leave my guard down because that is when bad things happen. So it is no the fault of Valvoline for my satisfaction, it is just that I can never feel comfortable having my car and my money at the hands of others. Samuel, the CSR, definitely helped me with servicing the car. He was very professional and sold me on the idea to continue to come back for future oil changes and service. Friendly and knowledgeable service as usual. Good experience. Brian the service tech was extremely friendly and helpful. Thanks again Brian for all of your help! always easy and quick. and friendly. One of the technicians didn’t greet me and did not explain what he was going to do. Everything else is was fine. I Love this shop! The workman are highly competent and knowledgeable.They go the extra mile with superior customer service. I am female and a senior citizen and I am treated with respect and efficiency. Very clear communication, no pushiness. Very kind attendants. No waiting time. Easy process. In and out. All services were explained very clearly. And extras were epxplained cheerfully but not with a lot of pressure. We bought 2 of them. No wait. Very convenient because I had a 2yo in the back and did not have to leave the car. Staff was professional through and through starting from the manager to every technician that interacted with me and my car. They all seemed to work very cohesively with synergy. I noticed a sense of team pride that reflected a unified professional effort to make my experience amazing. 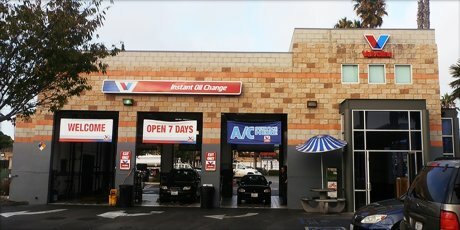 I have never used valvoline before prior to moving to Marina Del Rey because the reviews were always terrible but this one had great reviews so I decided to give it a try. I can see why the reviews were stellar. I am now a valvoline believer. Perhaps this team is a model for other locations. Outstanding experience. I have no suggestions. The visit was conducted professionally and the staff was knowledgeable and courteous. An outstanding service experience. Some of the best customer service I have received. I find the staff to be extremely friendly and didn’t try to push other services on me that I didn’t need. Jesus is my favorite. He always goes above and beyond what is expected of him. I've now used Valvoline Instant Oil maybe 5 or more times, and I'm always pleased with the friendliness and professionalism of the staff. I appreciate the recommendations without the pressure to "buy today." As a result, I've actually accepted some of the recommendations (new cabin air filter, for example). The staff is always great, the wait is always minimal, and I always leave being happy I stopped in.And thank you for the emails with discounts and special offers. I utilize them when I can, and it really helps. Had to come back on Sunday because the line was 45 minutes long on Saturday. Also, was not able to change during the week because not open till 8am. Had to waste weekend. Great customer service. Decent prices. Emailed receipt is great. Pretty quick. Employees very helpful, informative, accommodating, and intelligent. I purchased a groupon for the oil change and my car doesn’t use synthetic or a blended oil, but Valvoline only has a full synthetic or a blend of the type of oil that my car uses. Thus I had to pay extra for the difference in price for the oil upgrade. I had a feeling something of the sort was going to happen. I will say that the staff accepted and applied my groupon and took car of everything with top notch professionalism and courtesy. It’s no ones fault for the non-supplied oil, but it would be helpful if, when purchasing coupons for VIOC service, the consumer can see a list of oil type offerings. This way we know what level to purchase. I had a great visit and was very pleased with the work that was done, the friendliness, the speed, and courtesy. My only issue is a minor one and simply based on the fact that what I purchased originally didn’t fully cover the service that I needed. Everyone is always very nice and explains everything. I can tell they're working hard and quickly! The professional techician was very customer service friendly and knew all his products. He and his staff made it real easy and they all worked as a team. Will def go back for future oil changes. The people at this particular branch are pretty courteous and respectful which I appreciate a lot. What stopped me from giving 5 stars is the price of the oil change. I think I can find a better deal somewhere else if I wanted a fully synthetic blend. $72.00 for a simple oil change is too steep for a lot of people, I'm sure. They didn’t have the air filters that we really needed. Pedro was awesome. I immediately told friends to go ask for him at that location for oil changes. Because the service staff were very knowledgeable and concern about providing great service and I was happy with the manner it was expedited. Tech saw that I had maintenance due on my vehicle but did not go through the services or pricing until I prompted that I would need the services preformed. He may have misunderstood me, because he did ask about wiper blades and I told him I was having my windshield replaced and the wipers were set to be replaced by the replacement company. He may have assumed I was having all service work done elsewhere. Everyone was very polite and professional. And the services were quick and reasonably priced. Juan and Jesus were particularly professional. Made me feel very confident.